according to my imagination: black bones. 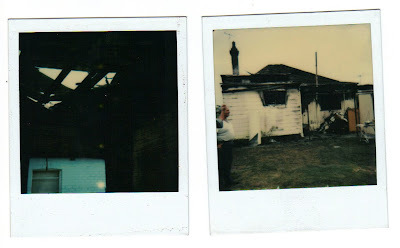 Was this your house? What happened? Who's house is that? 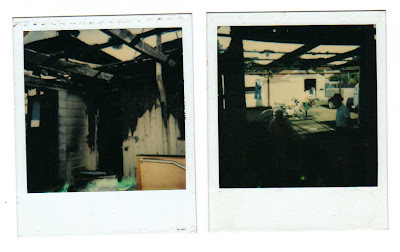 How did it burn down? 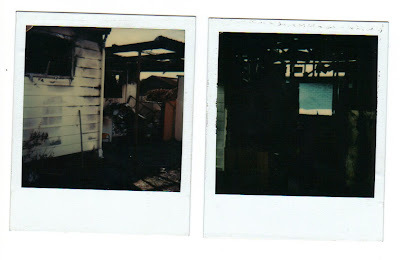 these are very old polaroids (circa 1970) that my very young mother took when her family home caught fire. i think the cause was something very boring like dodgy circutry.